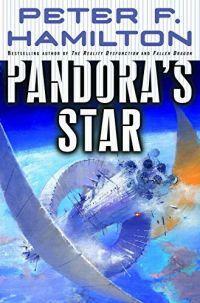 Shortly is a relative term as I listen to the book Pandora's Star by Peter F. Hamilton. At almost 1,000 pages and nearly 40 hours as an audio book it will take me several weeks to get through the book. Yes, I think it is too long and although the world has some great SciFi elements and a huge universe it is just too descriptive and fragmented so far. I hope it will pick up and the various pieces will fit together in the end. 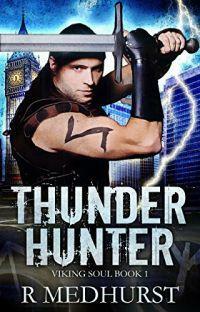 Thunder Hunter was a new book by Rachel Medhurst that I found by being on her e-mail list where she asked followers for feedback on various cover options for the book. I happened to give my feedback and while I can't recall my cover choice I can tell you that author's asking for feedback before a book is published is a great way to get readers more interested in their book. I am finding this book interesting but admit that since I am reading it versus listening as an audiobook it is taking me much longer than usual to finish it. It isn't long at 307 pages and there is a lot I like in the story so far so I should find time to finish it over the Thanksgiving holiday. Look for my review very soon.